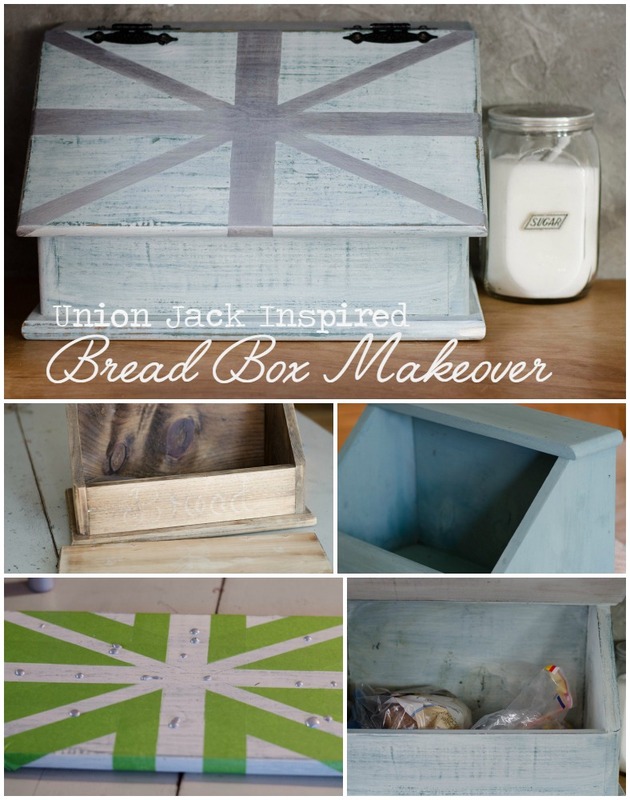 Bread Box Makeover – using milk paint, metallic paint, and a union jack. I know there is a before pic somewhere – but search as I might, I cannot find it. 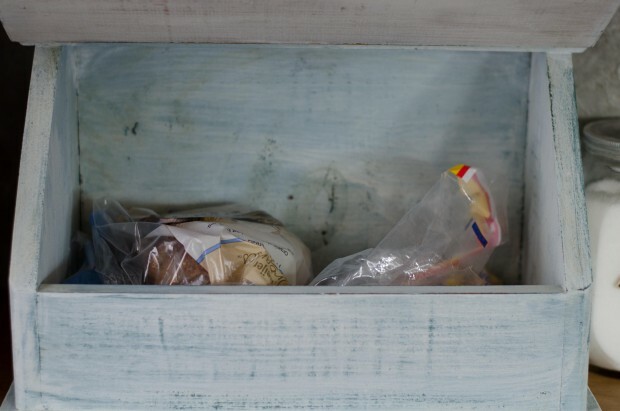 If you look close you can see the faint outline of the original picture on the lid of this bread box. 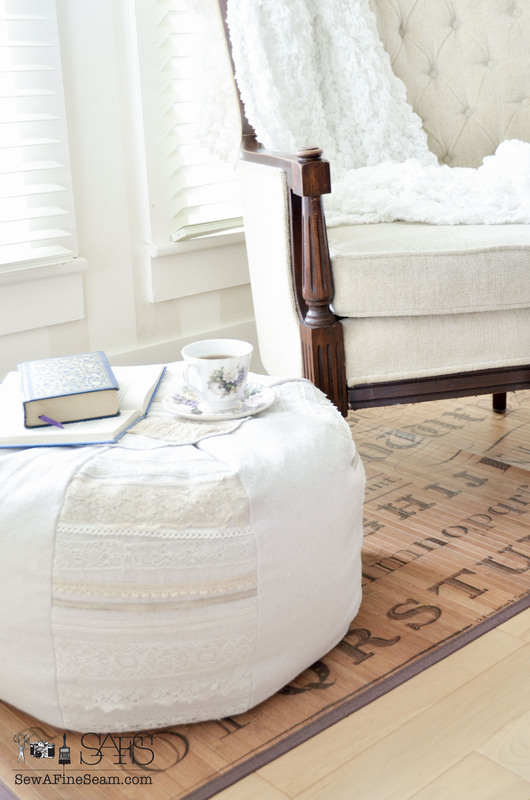 It was a cute, country piece in its day, but it was time for an update. 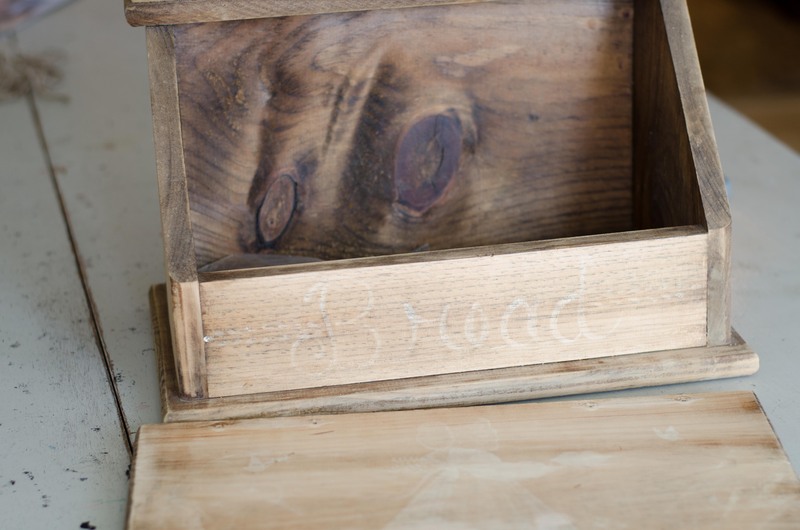 This breadbox was my Mom’s and we used it in her kitchen for years. She decided she wanted it painted so I brought it home with me. But I didn’t get to it right away and then my Mom’s kitchen got a complete makeover and she decided she didn’t have room in her kitchen for the breadbox. I decided to give it a makeover anyway, and sell it at the shop. And then when I got finished with the breadbox makeover I decided I rather liked it and found a spot for it in my own kitchen. 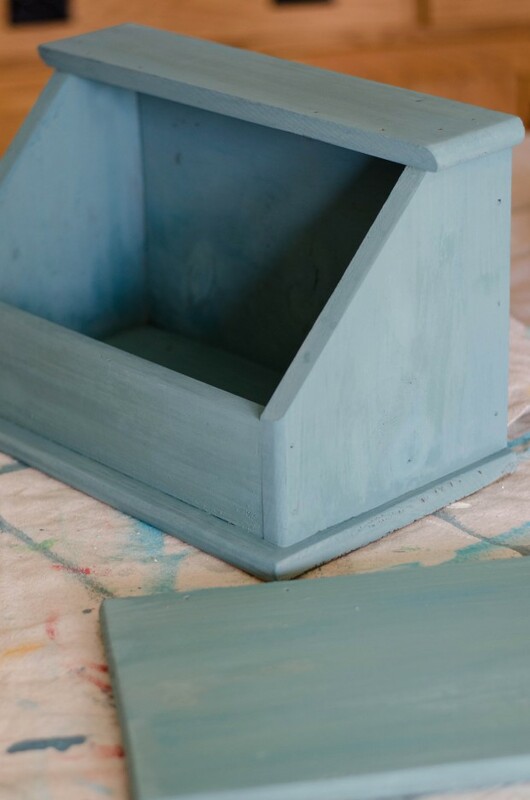 First I painted the box with Miss Mustard Seed’s milk paint in Kitchen Scale. After the Kitchen Scale I added a layer of Grain Sack. 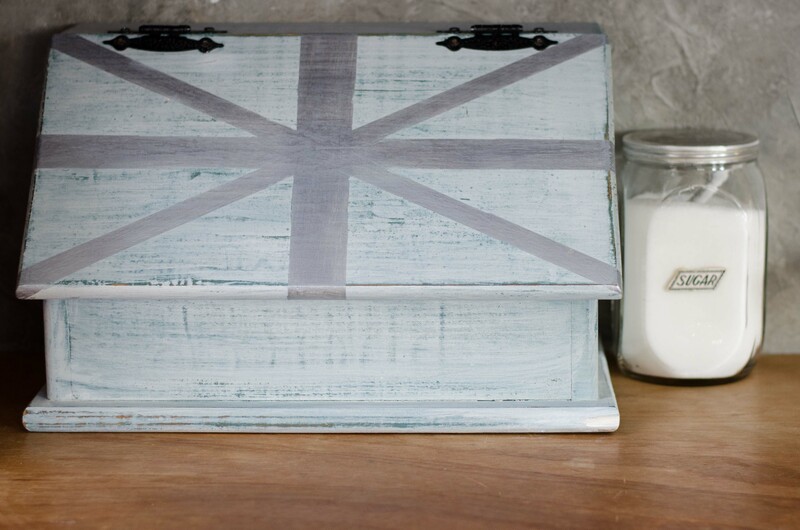 And taped off a Union Jack shape. Then put some drops of silver metallic paint on the lines of the Union Jack and painted it in. Do you get as tired as I do of seeing the bread sacks lying around on the counters and table? The counter space in my kitchen is limited but I like the idea of the bread having a place all its own so I figured out a way to make it work. 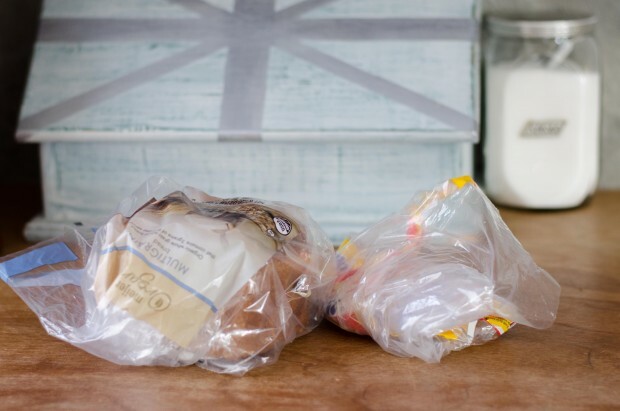 No more bread sacks out in the way – now they can be tucked away in their own little home and out-of-sight. I really like the way the metallic plays off the grain sack and the Kitchen Scale peeping through gives it a shabby chic look under the modern bling of the metallic. 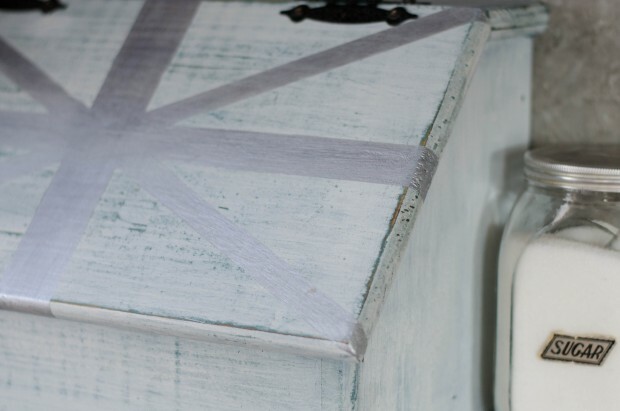 So here it will stay – for now 😀 Do you have a specific spot to put your bread? We have a drawer in the kitchen that’s crammed filled with bread and snacks and cookies, sort of a big mess! lol! Yes it could be used for all kinds of things! I have an old metal bread box in our main bathroom that we stash stuff in to get it out of the way! Hi Jill We have a metal white with red lettering and lid breadbox I bought at a restaurant we used to go to, can’t think of name of it (in Bowling Green, KY). I bought a few really cute things there. White you waited could shop, still have some really cute Christmas ornaments and other things for kitchen/home decorating. Makes me mad can’t think of that place, good food too. 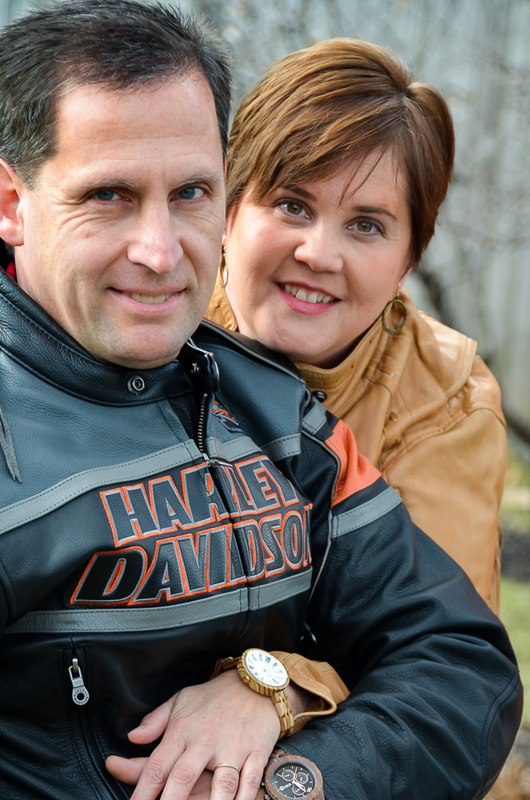 Thanks JaneEllen! 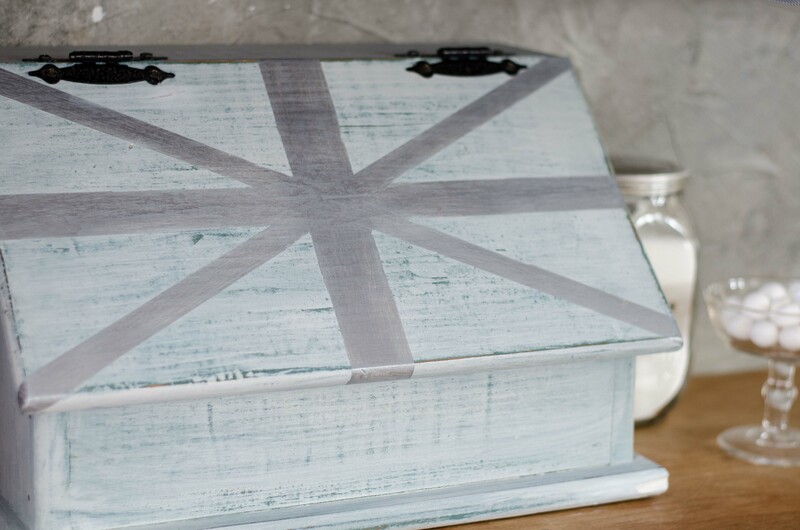 I’m loving the look of this bread box. 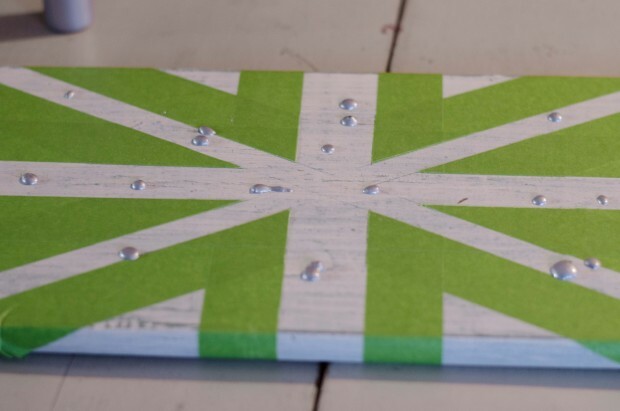 And I love the Union Jack – so much fun to paint on stuff!